And then he asked me for my advice. But ultimately, I kept coming back to the charitable remainder trust (aka CRT) as the best possible option for these clients. For a better understanding why, it’s important to understand what a charitable remainder trust is, and how it could benefit a high-net-worth investor with low-basis stock. 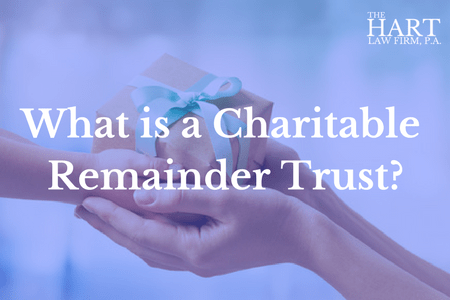 What are the Benefits of Using a Charitable Remainder Trust? Sound good, but what are the downsides to using a Charitable Remainder Trust? Need More Information about Charitable Remainder Trusts? Is this Strategy Right for You? In plain English, this means that you give your low-basis stock to a trustee to hold in trust. That trustee will distribute a certain percentage of the trust assets back to you or whomever you name each year for your lifetime or a set number of years. When you die or when the trust terminates, the remaining principal will be given to charity. Let’s get into some of the benefits of using a Charitable Remainder Trust. There are a number of benefits to using a charitable remainder trust. In total, I’ve come up with 6 main benefits. Here they are one-by-one. Let’s start with a biggie. The CRT is tax exempt, meaning that you won’t pay any capital gains taxes on the stock you contribute to the trust when you sell it. In addition, a CRT is not subject to the 2% net investment income tax that private foundations have to pay. Not only do you not pay taxes when you sell your low-basis stock, but you also get an immediate income tax deduction equal to the present value of the remainder interest that will go to charity. This sounds complicated, but it really means if you are going to be giving $1 million to charity when you pass on, what is that million dollars worth today? That’s the value of the deduction. Your lawyer or investment professional will perform this calculation for you. 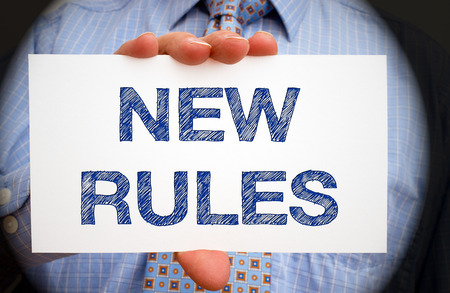 Another big benefit is that you can name a third-party as trustee to manage your trust assets. By doing so, you are getting the experience and expertise of a professional to manage your money. Once you fund a Charitable Remainder Trust, you must start taking payments from the trust. These payments can be a set dollar amount each year (i.e. an annuity) or can fluctuate based on the value of the trust (i.e. a unitrust). This is a great feature if you are looking for a planning vehicle that will allow you to diversify your investments, receive huge tax savings, and still retain income from the investments. You will leave the assets to a charity (or multiple charities) of your choice, and you can still change the charity later on if you wish. This is less of a benefit with the recent changes to the estate tax laws, but if both you and your spouse are the sole income beneficiaries then there is an unlimited estate tax deduction for using this strategy. The biggest con is also the biggest benefit. You are giving a potentially sizable piece of your investment portfolio to charity. If you have family members that you want to leave assets to, you would need to find a way to replace those assets. One way to do this may be through the annuity stream you receive from the CRT. You could use that money to fund another trust that you could leave to your heirs. You are still receiving all the tax benefits of the CRT, as well as the income tax deduction, but you are slowly funneling additional assets to your heirs. A charitable remainder trust is a great strategy for a charitably inclined person who has investments with large unrealized capital gains. You don’t necessarily need to have millions of dollars in the bank to make this strategy work, but if you do it is definitely a strategy you should look at. If you are interested in learning more about charitable remainder trusts and whether they might be right for you, please feel free to call our office at (919) 883-4861 to schedule a quick phone call with an attorney, or you can use this link to schedule a call. Previous Post: « Do You Need to Update Your North Carolina Power of Attorney?